I have been passionate about music my whole life. I started singing at an early age and performed solo at the Birmingham Town Hall with the school choir. During my teens and twenties I was the lead vocalist in local bands including harmonies, song arranging and organising band sessions. I also helped in youth workshops at a local community centre, which was supported by The Princes Trust, to learn various musical instruments, song arrangement and basic studio recording (analog). As an adult I went to clubs around the UK for a number of years before I began deejaying in small bars and clubs. The first big break was at Hard Times in Leeds, then I moved on to various residencies in clubs UK wide, including boat parties. I have been a resident deejay on Dogglounge Radio (an internet radio station) for 8 years (DJ DubC). 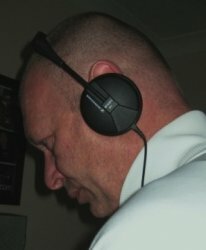 I have produced music, both analog and digital over the years and currently run my own record label, Black Sugar Recordings (**Web Address Removed**). Also, I own Black Sugar Music Services which teaches music in Birmingham and surrounding areas. Music Production, Music Technology, Basic Piano, Keyboard and Deejaying. I enjoy one on one tutoring as well as teaching workshops in groups. DarrenFrom Yvonne (5/5): Thank you making Jonathan and I feel relaxed about the lessons and how we can progress with any pressure and understanding our needs. We really enjoy the lessons and can ask any questions about the lesson and you explain on a level that we can understand. As a complete beginner I did not think I would ever be able to understand music or play a keyboard, but now I know it is possible with the right tutor. Thank you so much. Yvonne.